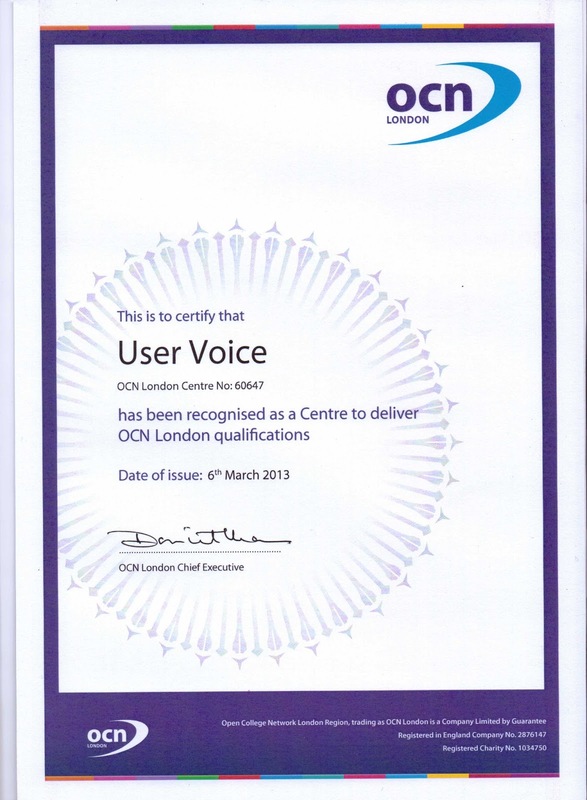 User Voice is now an Open College Network (OCN) London recognised centre. 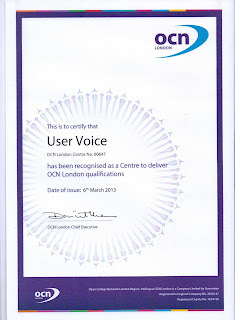 This means that User Voice will be delivering OCN London qualifications, initially in relation to peer mentoring and peer training. Service users will train other service users and professionals for OCN qualifications.